Another Albert the Alien update featuring — a giant robotic hall monitor!?! 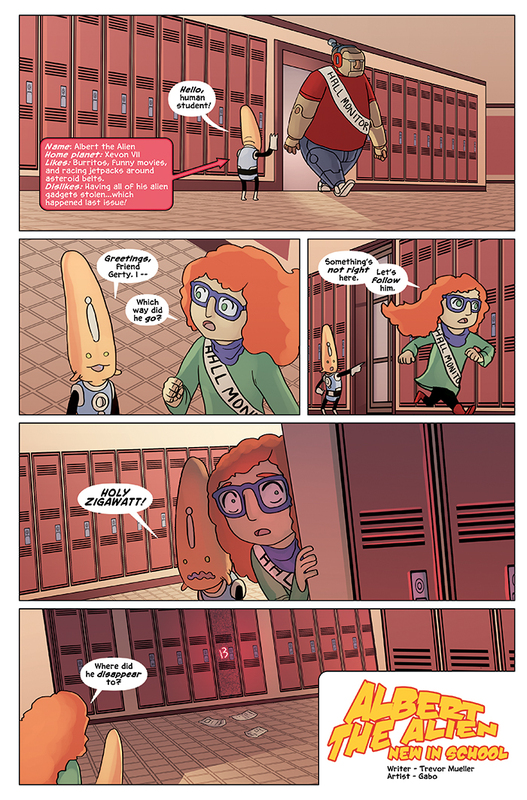 Gerty knows something’s not right at Heston Heights middle school, and she quickly follows the suspicious looking “student.” But once she turns the corner, the robot has disappeared! Where could it have gone? And what does it have to do with the super secret mysterious locker #13? We’re going to find out in this chapter, and it’s going to be Albert’s wildest adventure yet! Come back on Friday for another fun update, and another sponsored guest appearance!